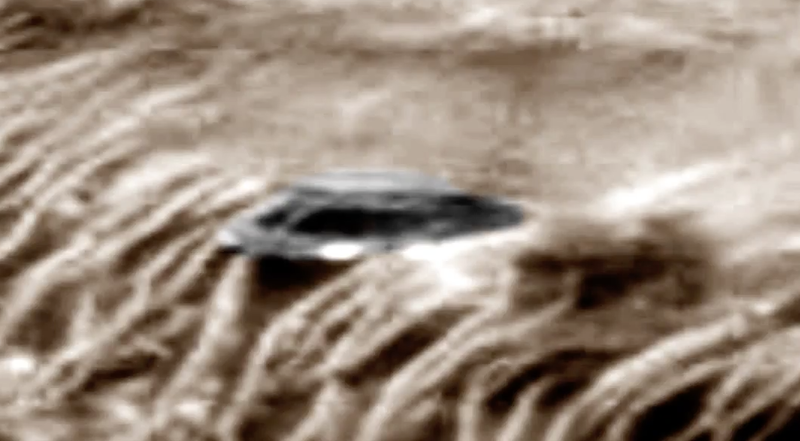 UFO SIGHTINGS DAILY: Giant UFO Disk Found On Mars, March 2015, NASA Source! Video, UFO Sighting News. 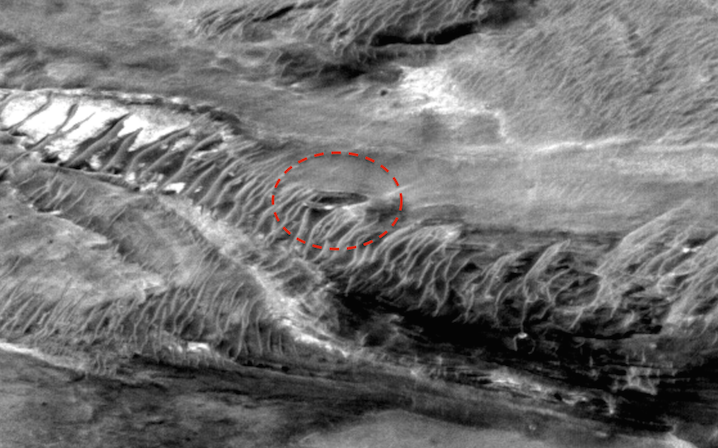 Giant UFO Disk Found On Mars, March 2015, NASA Source! Video, UFO Sighting News. Screenshot above is from the video, screenshot below is taken by me at the NASA source photo. A possible UFO has been photographed by one of the Malin Space Science cameras which are currently operating in orbit around Mars. Its interesting to note that the object bears a striking resemblance to the Jupiter 2 space ship from the popular science fiction series lost in space.